Aging for 16 months in white oak barrels. Aged for one year in french white oak barrels. Nose: marinating spice, and charred meat, with subdued cooked banana and meringue aromas. Taste: a round, smooth entry leads to a dryish medium-bodied palate with grilled tropical fruit, salted/smoked meat, and peppery wood spice flavors. Aged 3 months in bourbon oak barrels. Nose: sweet fruit, caramel and spice nose. 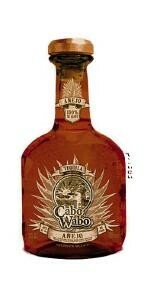 Taste: a smooth round entry leads to a dryish medium body with perfumed fruity agave, salty nuts, spice and caramel notes. Finishes with a fruity, zesty, perfumed spice finish. Elegantly structured, balanced, and quite tasty. 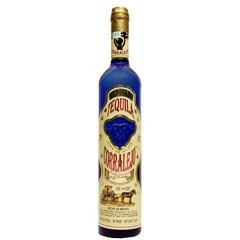 Tequila Chinaco Anejo is an enticing and rare 100% Agave Tequila which is meticulously aged 2½-3 years in government certified oak barrels to achieve its remarkably smooth and richly complex character. 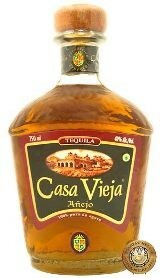 Savor this Tequila treasure like a fine cognac. Chinaco Añejo shares the same attack, intensity, and complexity as its predecessors, but has graduated to a rich, amber colour. 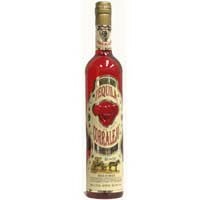 The aromas are intense, dominated by earthy agave with a strong presence of pepper, citrus, chamomile, caramel, smoke, and butterscotch with a hint of wild flowers, vanilla and baked apple. 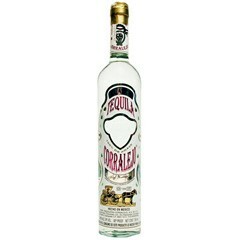 The tequila has a velvety character, and while oily, it seems dry, an amazing accomplishment. The oak aging regimen contributes nice caramel and vanilla accents, but doesn’t overpower the bold agave. Its boldness is balanced by fruit, floral, oak and butterscotch, with a bit of white pepper. Winner of double gold medal at the World Spirit Competition 2006. Taste: caramel, cooked pear, white pepper, cardamom spice, full body finish. Winner of double gold medal at the World Spirit Competition 2007. Gold medal, World Spirit Competition 2008.